A closer view. 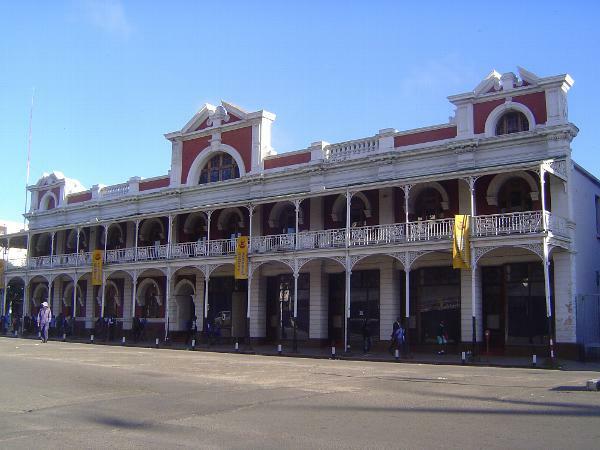 At the time of the building's construction, the railroad had not yet made it to Bulawayo, so the iron work had to be carted in. Johannesburg is about 500 miles to the south, but perhaps track had already been laid over part of that distance.